CARBONDALE, IL (KFVS) - Dozens of high school students spent the day at Southern Illinois University Carbondale learning the process of proposing legislation. 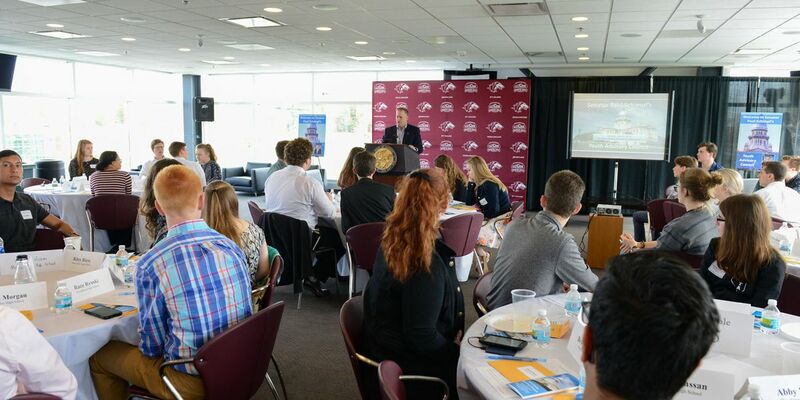 The event on Monday, April 8 was part of Senator Paul Schimpf’s Youth Advisory Council. The Council invited students from high schools across the 58th Senate District to hear from local leaders, government officials, as well as retired Navy Vice Admiral Nancy Brown. She said she will be watching the news more closely now. “I think doing stuff like this is a way for us to serve, I do think that this is really good for everyone that is involved,” John Patton, student at Carbondale Community High School, said. He hoped the event would help him in his future career. “I definitely would like to be involved politically,” he said.